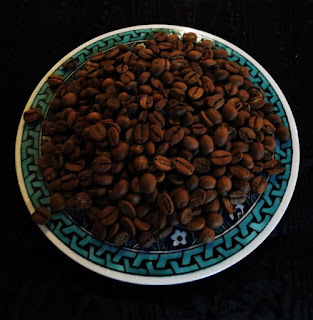 A culinary journey through the history of coffee completed with coffee tasting and historic recipes. 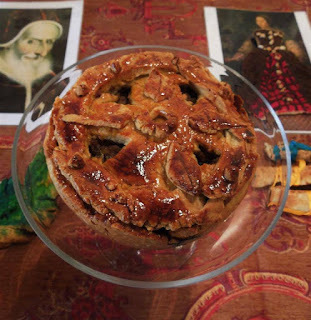 The concept of dessert did not exist in Renaissance times, although desserts were eaten by wealthy or on special occasions. 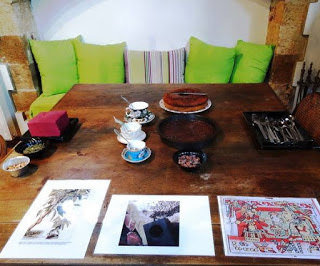 The workshop focused on the fascinating history of festive sweet treats of the Medici dynasty. Throughout the lecture were tastings of biscotti, sweetmeats, tortas, quince paste, candied spices, vinum hippocraticum etc. 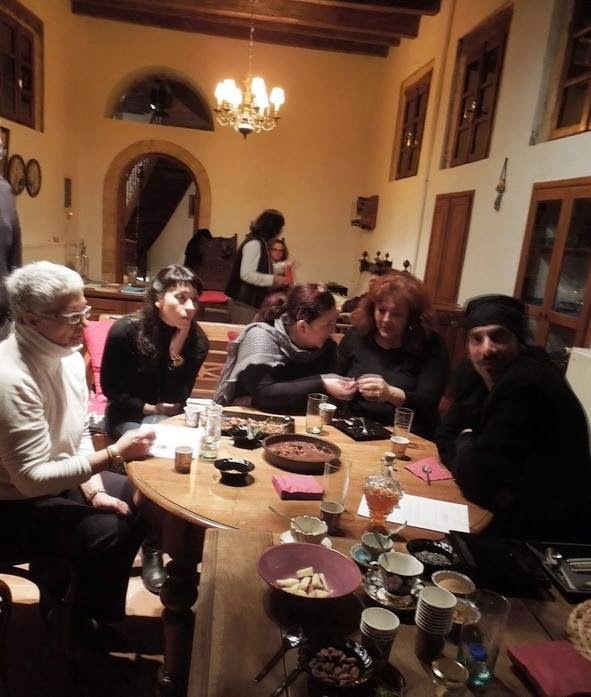 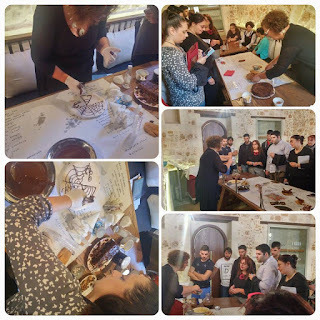 Historical multi-sensory workshop on Chocolate at Serenissima Hotel(Chania, Crete). 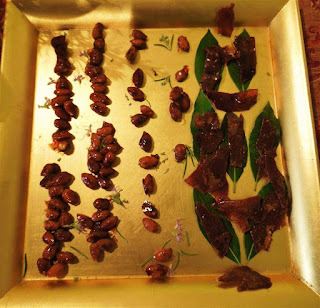 Chocolate laces, tasty utensils, demostration of the Mayan and Aztec techniques, recipes from 15th to 18th century and tales about chocolate and chocolate fanatics. 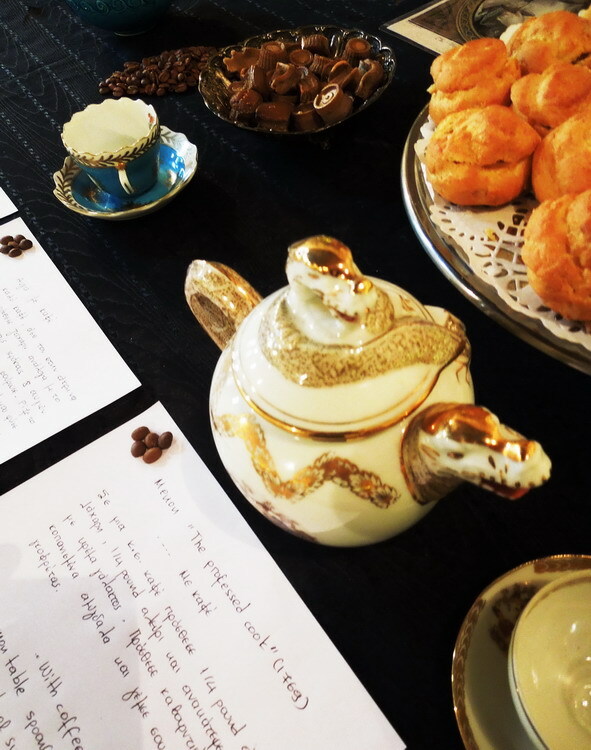 Love, chocolate and spicy tales. 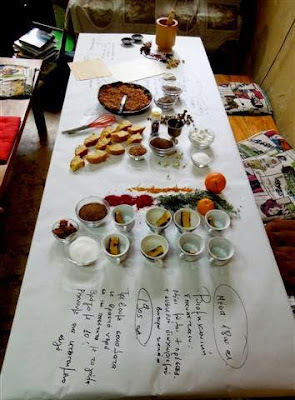 Recipes and stories about chocolate, spices, elixirs, aphrodisiacs and... poisons. History of chocolate through a multisensory experience. 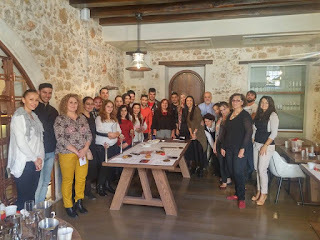 February 22, 2014 at PolyTechneio (Chania).